Sort through the mess fast and painlessly. Edit your clothes regularly. "Analyze each and every item," says Thomas Gallardo, author of Organize Your Closet. If you're having a hard time letting go of items in your closet, consider these guidelines: "If a piece of clothing hasn't been worn in at least a year consider donating it to a worthy cause. If it doesn't fit then get it out of your closet. Anything that you have just stuck in your closet for lack of a better place for it needs to be removed from your home or given a proper location." Three words: Simplify your wardrobe. Stick to your system. There is no right or wrong way of organising your closet. It's up to you to develop a method that works best. "Come up with a system for organising your clothing. This can be colour, style, or season. You can also choose to separate them by where you wear them such as around the house, work, and casual," says Gallardo. Adds Donna Smallin, author of Simple Steps to Organizing Everything: "Further sort into subcategories, such as pants, skirts, long- and short- sleeved shirts." Look for storage solutions. 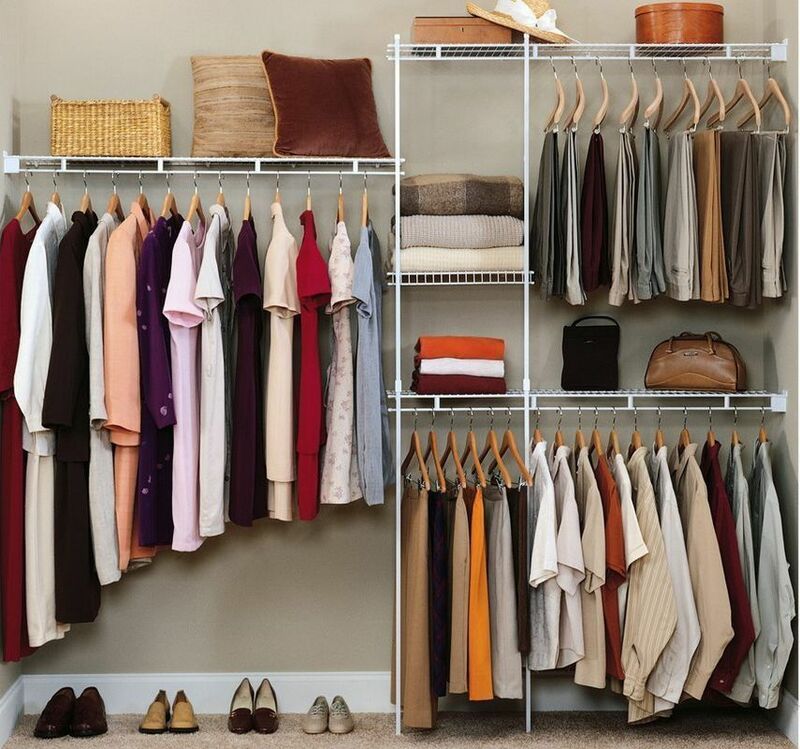 Get various dividers, shelves, and baskets to customise your closet storage space. "Many closets have a deep shelf on top but it is hard to keep piling more stuff on it. Putting in shelves or dividers will help you use more of that available storage space at the top of the closet," says Joseph Gomez, author of Closet Organisation Tips. Get help. Whether it is in the form of a wardrobe organising app or a closet organisation kit, turn to readily available closet helpers to make organising easier. "As you see your closet transform into an organised location for your clothing, shoes, and accessories, it will look more approachable and less like a jungle that swallows up your things. This memory compared to your old closet organisation will help you stay motivated to put things back into their place," says Gomez. Share photos and stories of your organised spaces with us! Email us at hello@cromly.com. Like us on Facebook.